SHADOW'S GREATEST HITS includes the early years of THE SHADOW that includes the cut and thrust of word and razor that were reduced to a finely-honed skill. Among the major his are "Bassman","Ah Come Out to Play","De Garden Want Water","Columbus Lied", "King from Hell" among others. It’s time to party again! Here comes the official start for summer fun – the release of the new Byron Lee & The Dragonaires album “Sweet Caribbean Music”. 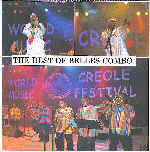 This annual release, known for its superior production quality puts the Byron Lee touch on current and classic Soca hits. 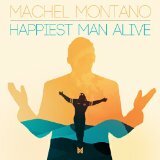 Hot tracks include "She's Royal","Carnival-Get Ready to Jump Jump","Bring it in a bottle","Happy Birthday" and the "1812 Wedding March" and some Reggae converted to Soca like "Always on my Mind". Byron is back after 3 years. BYRON LEE & THE DRAGONAIRES' JUMP & WAVE FOR JESUS VOL 2 continues the gospel melodies where Volume One left off. This time the young ladies group, LMJ, with their compelling harmonies,Marvia Wilson and the veteran Carlene Davis join Byron Lee on this album. Hot tracks include "Rugged Cross", "Hear My Cry Oh Lord" and "One Day At a Time". Jump and Wave for Jesus by Byron Lee and the Dragonaires brings you gospel music with the rhythms of the Caribbean. Good tracks include Carlene Davis with "what a friend we have in Jesus" ,a remix of David Rudder's "High Mas",the hymn "The Fortress" and the classic "a little more oil in my lamp"
A 3 CD COMMEMORATIVE COLLECTION OF MUSIC BY BYRON LEE AND THE DRAGONAIRES. Sixty hot tracks of Music that Memories are made of. This is a priceless collection and addition to your Caribbean Archives from one of the top dance bands in the Caribbean since the 1950's. We party to full extreme!We jamming still! Far finished! de city would burn down, we jamming still! Oliver Samuels Sarge in Charge will make you laugh all through the DVD. The veteran Jamaican Comic brings back the Big Yard comedy in fine ratteed style. Laugh till your belly bust mon!! TERRY GOES BOLLYWOOD featuring TERRY GAJRAJ accompanied by various Indian and chutney artists.. Among the hits are "Om Shanti Om", "Ghona Rhona", "Saray Zamanay" , "Aya Ray" and "Suhani Raat". The Calypso King of the World pleads with us to support Barack Obama as the next leader of a great nation.The Double CDs contain 24 songs,12 on each disc. 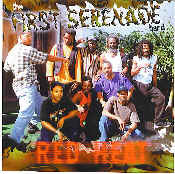 International Soca Monarch Finals 2004 in T & T captured on DVD-SOCA Fire, this DVD is a real collection to Soca party fans. Notable artists include the Soca Monarch himself,Bunji Garlin,Destra Garcia(Bonnie& Clyde), Denise Belfon, 2004 Road March King Shurwayne Winchester,Barbados Star Timmy(Bumper Ketch Fire),Antigua's Wanskie,Burning Flames'Onika,Grenada's Tallpree,Fay-Ann Lyons and her Dad Austin"Super Blue" Lyons,Blazer(Stages) and more. We are saddenned by the recent passing of ONIKA BOSTIC. Her short life will leave a positive effect on all Soca fans. DESTRA (BONNIE & CLYDE),ONIKA,DENISE B AND FAYE-ANN ARE MAGNIFICENT!! GET THIS DVD!! D'GOLD FETE LIVE on DVD is really D SOCA GOLD FETE captured LIVE IN CONCERT at Club Tobago in Queens New York in 2005. The Concert features THE SHADOW,kROSFYAH with EDWIN YEARWOOD. It also features ANDY ARMSTONG of Square One and TIMMY. SOCA FOR DE WORLD by VARIOUS ARTISTS is another one of the best collection of SOCA hits from the eighties and nineties. "Who Let the Dogs Out","Dollar Wine", "Tiney Winey", "Follow the Leader", "Teaser", "Ragga Ragga", "Rock it" and "Nani Wine" by now should be considered classics. (Click) and find out more. Antigua's Red Hot Burning Flames along with Gordon "Dr.G" Ottley have compiled 15 hot tracks from their first 8 albums from 1985 to 1994. This 2005 CD-album "FROLIC" by "BURNING FLAMES", the hottest band ever from Antigua is dedicated to the loving memory of ONIKA BOSTIC who passed away in December 2004. 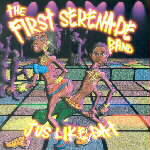 Hot tracks include "Frolic","I Want Yu" "De Harder Dey come","Fete to the road","De Formula" and "Dung Tung". OLD CLASSIC KAISOCA -VARIOUS ARTISTS (Sparrow,Blakie,Zandolie,Ras Shorty I,Baron,Gypsy)is an original classic calypso Cd with tongue and cheek social issues. Tunes include "Severe Licking" and "Too Late" by "Baron" And "Too Much Man Family" by Dominica born "Zandolie". THE VERY BEST OF WINSTON SOSO from the man who first debuted on the scene with the band Climax of St. Vincent and the Grenadines in the 1970's. The big hit then was a song called "DIANNE". Soso released "I DON'T MIND" as a solo soca artiste in the 80's and became one of the hottest acts in SOCA history. "AH FEEL TO PARTY TONIGHT" was another as Soso churned more hits. They all appear on this album. GOOD FOR LABOR DAY!! COLLECTION ITEM! RED by Red Plastic Bag is a collection of the greatest Soca hits done by Red himself. 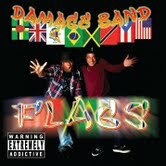 Tracks include the new single "Jouvay Jam", the classic "Ragga Ragga", "Volcano","Uneasy in me Pants" and more. BELIZEAN MELODY SWINGERS - PARK FEST BROCK DOWN CARNIVAL JAM features the band from BELIZE (formerly British Honduras)with the popular tune "Two Monkey Go Make Pan One Mouth Organ"). DVD (Double) - MOTHER'S DAY 2008 ALLSTAR CARIBBEAN FESTIVAL brings you the 32nd Annual Mother's Day Calypso and Soca show that was taped live at Brooklyn College in New York City in May 2008. Among the major entertainers featured were 3 Canal(Neighbor,Neighbor) of Trinidad and Tobago and Edwin Yearwood(It feels Like home,Pump me Up) of Barbados. LAUGH TILL YOUR BELLY BUST!!! OBAMA MANIA - BROTHER MUDADA, a tribute to the First Black President of the United States of America.